The skin starts showing the first signs of ageing from the age of 25. Skin becomes thinner, blood circulation deteriorates and the natural production of collagen and elastin starts to slow down, causing the skin to lose its firmness and elasticity. This natural ageing process starts from the inside out, but is accelerated by external factors like excess UV light, tobacco, alcohol, air conditioning, stress and pollution. Dermatude Meta Therapy is a 100% natural beauty treatment for skin rejuvenation and skin improvement from the inside out. 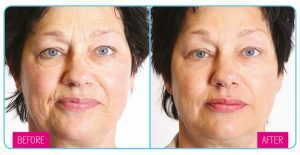 With Meta Therapy the skin ageing process can be slowed down considerably and the signs of ageing can even be visibly reduced. Meta Therapy stimulates and activates the skin’s natural process from the inside out, so that collagen and elastin are produced again in the skin and circulation is improved. In addition, the skin’s deficits are supplemented externally with active ingredients during the treatment with so called Subjectables. How does meta therapy work? Meta Therapy involves making invisible micro-perforations in the skin in a painless way. As a result, the skin shifts it’s natural repair mechanism into high gear and starts producing collagen and elastin to repair the micro-perforations. 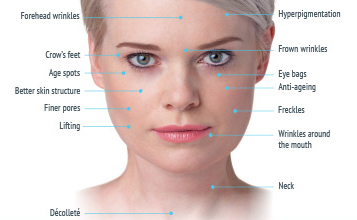 The self-repairing property of the skin is a 100% natural form of skin renewal from the inside out. Your skin becomes firmer and regains its elasticity, fine lines and wrinkles are visibly reduced, pores become finer, circulation is stimulated and the overall condition of the skin improves. Meta Therapy helps re-activate what your skin has lost over time by turning back the biological clock in a 100% natural way, giving your face a fresher and younger look. You can learn more about Dermatude Meta Therapy by watching the following video. Dermatude Meta Therapy treatments start from £85, and the price of your treatment / course will be determined at your initial consultation. To book a consultation please call us on 01872 501978 or get in touch via the contact page. To find out more, please visit the Dermatude website.